We are amid one of the renowned names involved in presenting to our clients Chemical Resistant Epoxy Coating Service. So as to attain the ample gratification of our patrons, a crew of dexterous personnel confirms to render these services as per the information was given by our patrons. To add, the provided services are imparted to our clients within the pre-determined span of time. 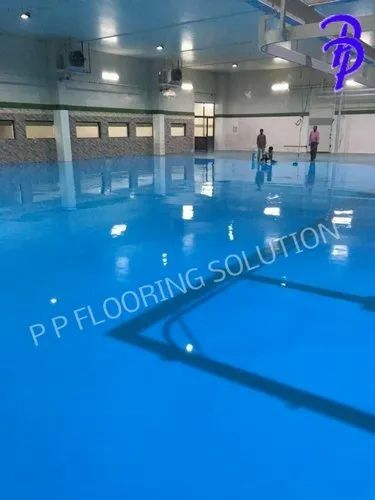 Incepted in the year of 2014, P P Flooring Solution is one of the leading service providers of EEpoxy Floor Coating Service, Epoxy Flooring Service, Epoxy Floor Screeding Service, PU Self Leveling Service etc. These services are available in the market at reasonable rates. The personnel delivering these services are selected from some of the capable personnel present in the industry. Broadly cherished owing to its reliability, these offered services are highly acclaimed. Since we have incepted our base in this industrial area, we are working underneath the direction of Mr. Prashant Pandey.